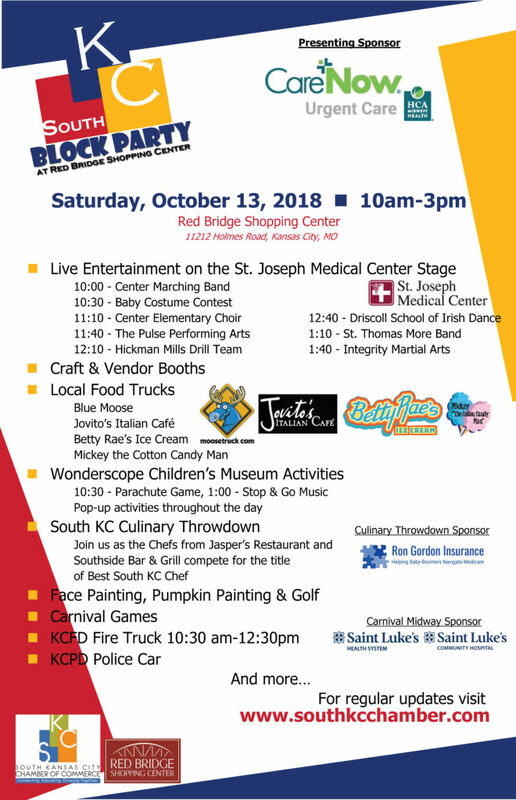 Join the South KC Chamber at Red Bridge Shopping Center to celebrate the great community of South Kansas City. The second annual event will feature performances by area schools and entertainment groups, local food trucks, vendors, and tons of family-friendly fun and activities! For more information, visit www.southkcchamber.com.